After encouraging feedback from the introductory session, E Cell IIT Kharagpur is back with Session 1 .0 of E-Adda, held on the 22nd of March at STEP, IIT Kharagpur. To be able to pitch about your start-up and share views and ideas is indispensable for a good initiation. Such interactive sessions, which entail the presence of people who have already been part of entrepreneurial ventures helps in the grooming of budding entrepreneurs on campus. Thus, the theme of E-adda 1.0 was decided to be: Start-up pitching and feedback. The adda had the opportunity to be audience to diverse initiations, ranging from educational start-ups to ventures providing eco-friendly technologies. The first pitch presented by Sudeep Gupta, a student at VGSOM was about his aim to establish events at national level where individuals get to showcase their talents and skill-set. For which they shall receive incentives and attention from various organisations that would be associated with the event conducted. This would assist the filtering process of major organisations as well as deserving candidates who would otherwise lose out on the grounds of merit. This was followed one of the most bizarre and captivating of ideas, expounded by Rakesh Krishna Andey, a pre-final year student at IIT-KGP. With the growing concern about safety of commuting women, he presented a solution similar to the She-Taxi initiative by Kerala government except, this cab would be driven by transgenders. Claiming that this serves both purposes- safety of women as well as eradicating the social stigma of the eunuchs, Rakesh told us about his interactions with the transgender community and their response to this idea. Alumni of IIT-KGP Aravind Reddy and Arpit Dave , also attended this session, elaborating their objective about centralising the inventory systems of various e-commerce websites. 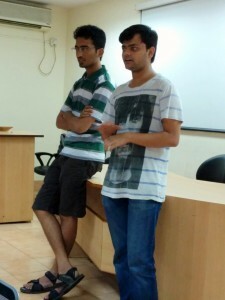 There were even dialogues by personas of the campus who had already initiated their journey as an entrepreneur. Amritanshu Anand, co-founder of Betaglide (App-testing start-up) shared his experiences about the glitches he had to face during his endeavour and how he overcame them. He started off with manual trials and has now moved on to more efficient software based testing. Times of India, Gaana.com, makemytrip.com are some of the clients of Betaglide. 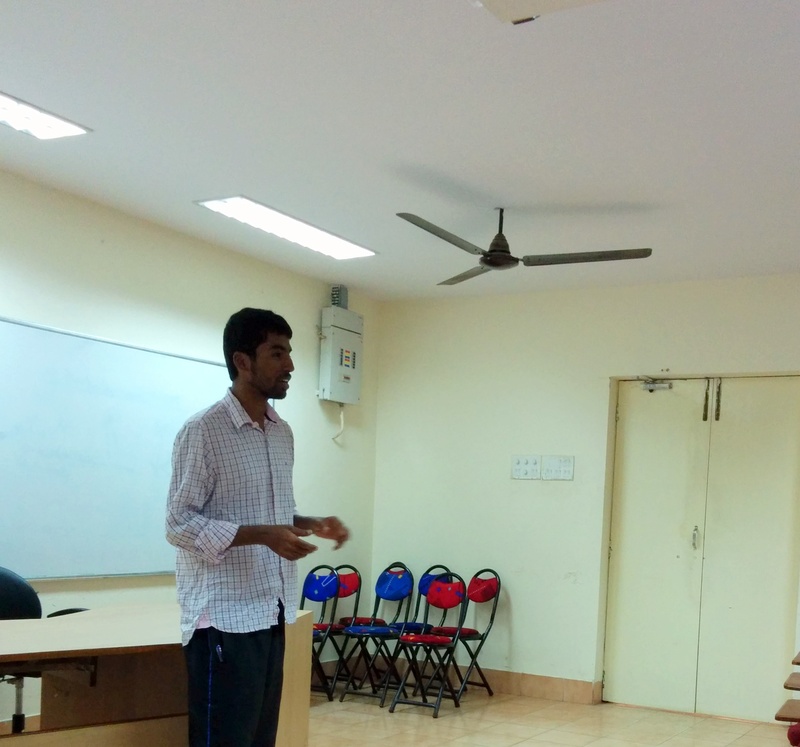 The adda also interacted with Vivek Pandey where he spoke about his start-up, Ecozen Solutions. It analyses about current power usage and related technologies, and provides a green and more efficient alternative. IIT-KGP was the first client of Ecozen Solutions. E-Adda will continue to entertain this gathering of the interested and passionate individuals, and established personas. The latter guiding, the former, giving in new and inspiring ideas. The Adda has proved as a place where you could explore the entrepreneurial spirit in you and enjoy the company of like-minded people. Coz here… it’s all about start-ups and you..